UPDATE September 18, 2015: Welcome to hell: Apple vs. Google vs. Facebook and the slow death of the web | The Verge: "IOS 9 IS APPLE'S ATTEMPT TO FULLY DRIVE THE KNIFE INTO GOOGLE'S REVENUE PLATFORM"
Apple’s Ad Blockers - WSJ: Apple’s upcoming iOS 9 will make it easier for hundreds of millions of iPhone and iPad users to install apps that block ads, posing a challenge to Google, advertisers and publishers. Apple’s Ad Blockers Rile Publishers - WSJ: "Putting such “ad blockers” within reach of hundreds of millions of iPhone and iPad users threatens to disrupt the $70 billion annual mobile-marketing business, where many publishers and tech firms hope to generate far more revenue from a growing mobile audience. If fewer users see ads, publishers—and other players such as ad networks—will reap less revenue. The move also is a competitive weapon against Apple rival Google Inc., which makes more money from Internet advertising than any other company in the world. Making ad blockers available on iOS, one of two main smartphone-operating systems, is expected to prompt more consumers to use the technology. The benefits of blocking ads arguably are greater on smartphones than on personal computers, because they can reduce the clutter on small screens and help pages load faster." Apple’s Ad-Blocking Feature Is Sending Publishers Scrambling - Bloomberg Business: "IOS 9, which is set for a Sept. 16 release, will allow owners of Apple’s newer mobile devices to download Web browser extensions that can block advertising from being shown while they browse the Web ... Apple hasn’t publicly articulated why it will start allowing ad blockers on iOS, but Tim Cook has criticized Internet companies in the past for violating people’s privacy to boost ad revenue." With Technology, Avoiding Both Ads and the Blockers - The New York Times: "A report last month from Adobe and PageFair, an Irish start-up that monitors ad blocking, projected that the software would lead to nearly $22 billion in lost revenue for advertisers this year. Roughly 200 million people globally now use ad-blocking software; global usage increased 41 percent in the last year." I work in advertising, but I still block ads - Digiday: "Our business is changing incredibly fast. We’ve become a mobilized society, and ads don’t work very well on mobile. The screen is too small for most banners to be effective. We’ve had to reinvent advertising for mobile, and we’re going to reinvent advertising when we all start blocking ads." 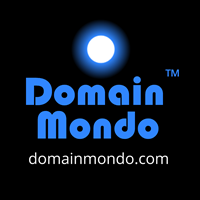 Domain Mondo: Google Alphabet A Signal To Sell OR Short $GOOG and $GOOGL shares?